In 1994 a group of 12 artists in the Cowichan Valley on Vancouver Island met to discuss the need for a permanent showcase for selling their artwork beyond the usual venues of craft fairs and exhibitions. Their first tiny storefront opened in downtown Duncan in August of the same year. They called themselves "Imagine That! 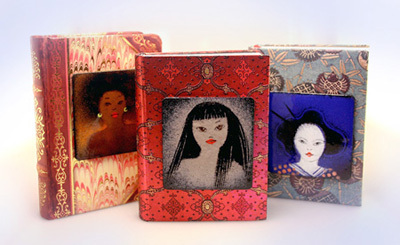 Artisans' Designs". This focused group established how they should run their meetings and where they should locate, by inviting assistance from the local Community Business Development Office. They also used the invaluable advice of a bookkeeper, who is currently the only one remaining from the original group. The store has grown considerably since then. From the beginning they were advised to explore the Co-operative Association Act and decide which kind of co-operative they wanted to be. For ideas, they looked at registered co-ops in Nelson B.C. (Craft Connection) and at Circle Craft on Granville Island, Vancouver. With little startup capital, the group considered applying for a Government grant. This required them to register the business as a Cooperative with Board Members and Minutes of Meetings. To their credit that they chose not to request any government funding, relying instead upon their own limited funds and resources with some private monetary help. Registering the co-operative was a good idea. By holding meetings and keeping minutes, the core group has passed on to the present Members, a record of how Imagine That!, as a Co-operative Association, has evolved. The core group established policies as the need arose, with considerable input from those who were previously involved in other similar ventures. Records have been kept of all Framework, Governance and Operational Policies. Each year, at the Annual General Meeting, any changes which have been made to those policies are voted upon and relevant changes made to the Policy Manual. Amongst the many consigning artists are those known as Members who actually manage the storefront. We purchase shares in the co-operative. (The shares are redeemed should the Member resign). Member responsibilities are Store Management and Sales, Inventory Control, Jurying, Advertising, Publicity Promotions, Display and Database. Members are also artists whose work is displayed in the store. If becoming a member interests you, speak to us about getting more involved. The lifeblood of Imagine That! is the artists and artisans, the Consignees who bring their art-products to the store to be showcased and sold for a designated consignment fee of 40%. The majority of the artists are from Vancouver Island; however we will consider artists from the B.C. Mainland. Some of these artisans who live in the Cowichan Valley volunteer to work as sales staff in the store. For their assistance, they receive a larger percentage of their monthly sales. print one from the internet. For a Consignment Application/Jury form, click here. Currently there are over 80 artists on our roster. The store provides a showplace both for established and for emerging artists and artisans. 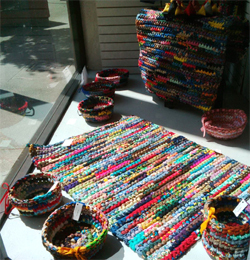 There is also the opportunity to rent the store display windows to test market an art product. We are grateful to the founding artists who laid the groundwork for this Cooperative and we are reassured that there will be others to take over the store and be true to our mission. Imagine That! 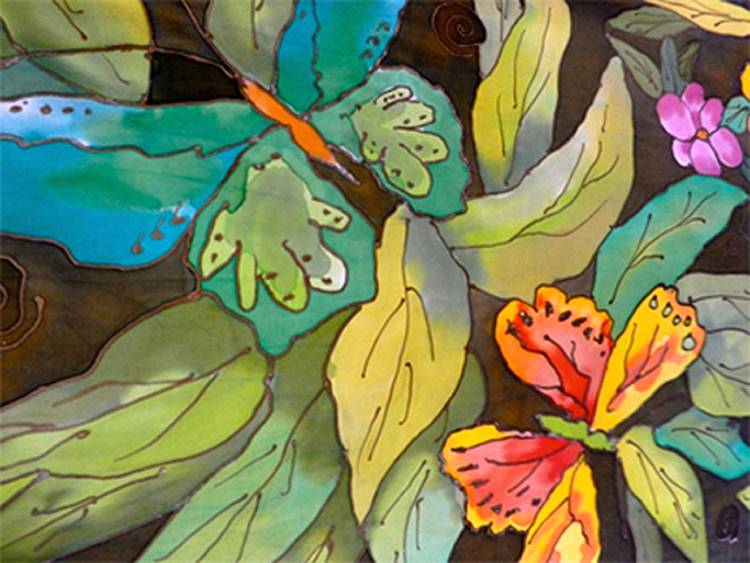 Artisans' Designs is a member of Cowichan Valley Arts Council and the Canadian Federation of Independent Business. Imagine That! Artisans' Designs provides a storefront for artists, artisans and craftspersons to market their works, thus giving the community and visitors an opportunity to purchase quality items.